As a small child I remember a special, cylindrical box in my mother's spice cabinet. It was decorated in a fine wallpaper-like pattern with an observation window at the top. This was a very special box. In it contained the most magical cake topper a 4 year old could imagine. Sugar coated, sparkling, candied violets. Fairy food. It was my sister Catherine's first birthday and our mother being who she is, threw the most enchanted 1st birthday a big sister could image. Let's face it, a 1st birthday is always for the family around the guest of honor. And when there is an older sibling involved it is always extremely special for them in particular. On that day, I felt very privileged to be able to help my mother put the finishing touches on that crisp, white cake. The impression that was left with me is how special flowers can be in the most unexpected places. The use of flowers in food create a huge impact, not only with their added visual beauty and enticing aromas, in a salad for instance, but also with their variety of flavors ranging from spicy to sweet. That being said it is crucial to know which ones are safe to eat. 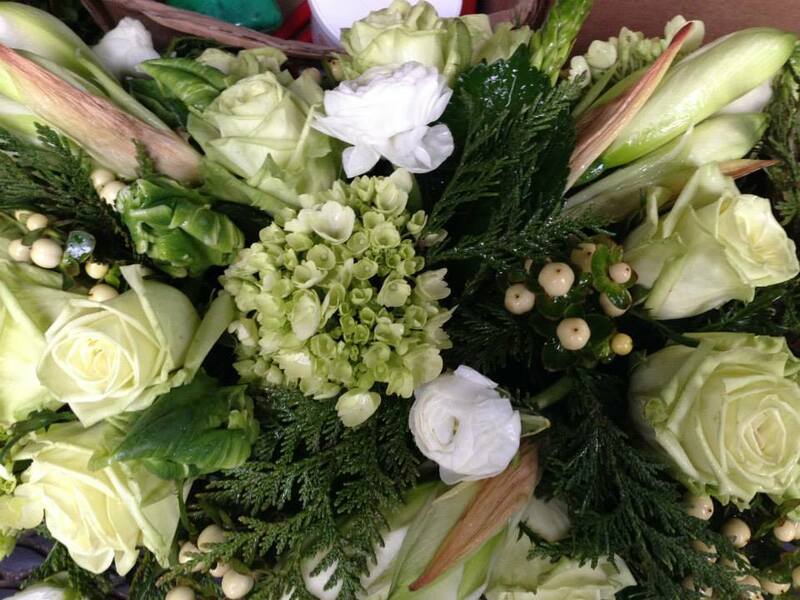 When selecting flowers for consumption it is important to make sure they are non-toxic and not poisonous. From Martha Stewart Living May, 2013, Edible Flowers article on-line, I pulled the following important information regarding flower selection, as well as a list of common edible flowers. For safety, choose only unsprayed flowers from your garden, farmers market, or other reputable sources that grow flowers for human consumption. Be sure that these products are not from florist shops, garden centers, nurseries or retailers that are providing these flowers for aesthetic purposes and may have been sprayed with herbicides and pesticides. When picking flowers in the wild it is very important you identify the species. It is also important to avoid picking flowers along the roadside as these are contaminated by car exhaust fumes. And with all flowers, it is important to wash them before eating. Spring is just around the corner, and Catherine's birthday is right at the start of this season. Inspired by all things blooming and that memory of her 1st birthday with the candied flowers, I decided to make her a wonderful, edible floral present for her gift this year. Stay tuned this week to see what I have come up with! And in the meantime enjoy these pictures of the birthday cake I threw together. Just a few pansies thrown on a simple, white frosted cake can create so many oohs and aahs. Flowers are timeless beauties. They come in all shapes and forms, and are each beautiful in their own unique way. They can be complicated or simple, or mixed together to create intricate effects. No two are ever alike. These attributes have long inspired artists, whether it be poets, painters or fashion designers. Spring fever, is running high around here. Even with the 6 inches of snow on St. Patrick's day we can feel Spring is just around the corner. Floral inspirations were everywhere this past month on the fashion runways. And thank goodness they were. It has been a long winter and on days like today, checking out these trends, as well as some timeless throw backs, have us thinking about Spring and warmer weather. 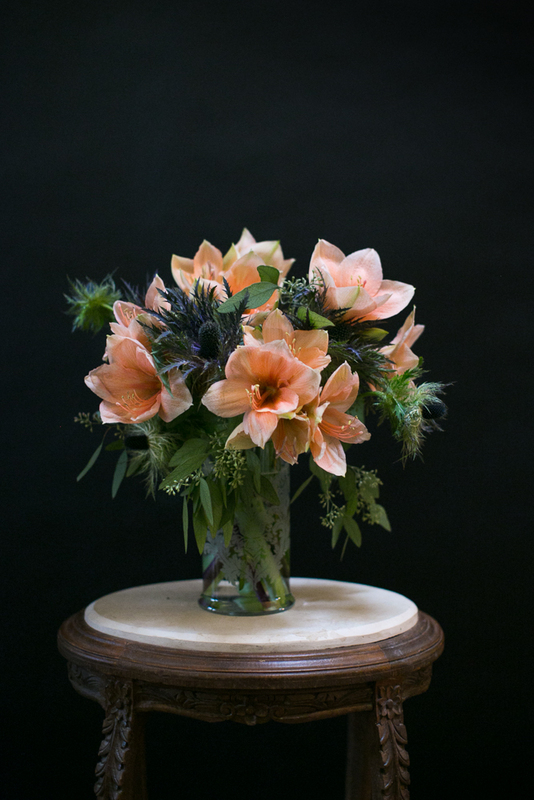 Some of our favorite floral inspirations came by way of designers using flowers as their muse. Check out these beautiful, intricate works of art. And remember wedding and garden party season is just around the corner. 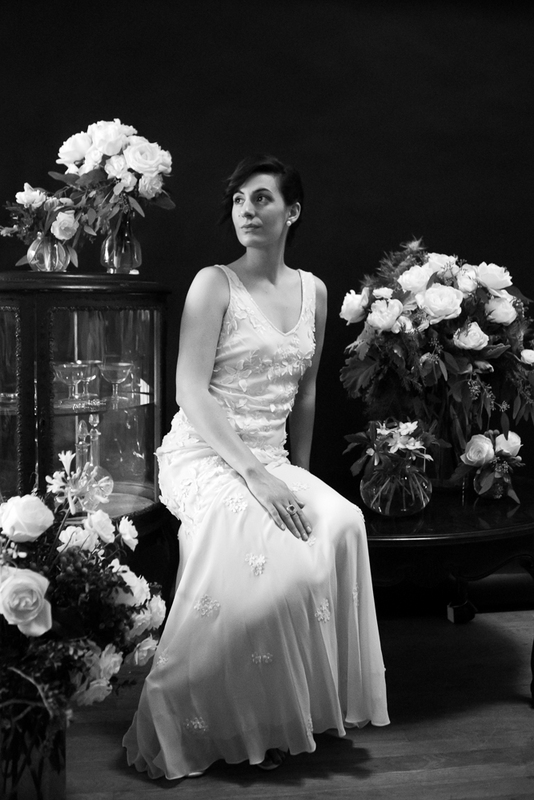 Brides, don't be shy about straying away from traditional gowns. Have fun and do what you want. Try out one of these looks for your big day or for one of the fabulous parties leading up to it. With these ultra feminine, floral inspired dresses you can't go wrong. But if you feel it is too much a departure from the norm feel free to put your bridesmaids in these show stoppers instead. They introduced me to a new variety of flower that was requested by the Bride's mother, Tweedia. This beautiful light blue flower grown in Japan was the perfect compliment to the golden tones used elsewhere in the flower arrangements. The flower is seemingly delicate, although the stems were quite hardy and needed to be cauterized to keep the milky white latex in their stems from making the other flowers wilt. I do this by lighting a candle and holding the tip of each stem in the flame for roughly 15 seconds. 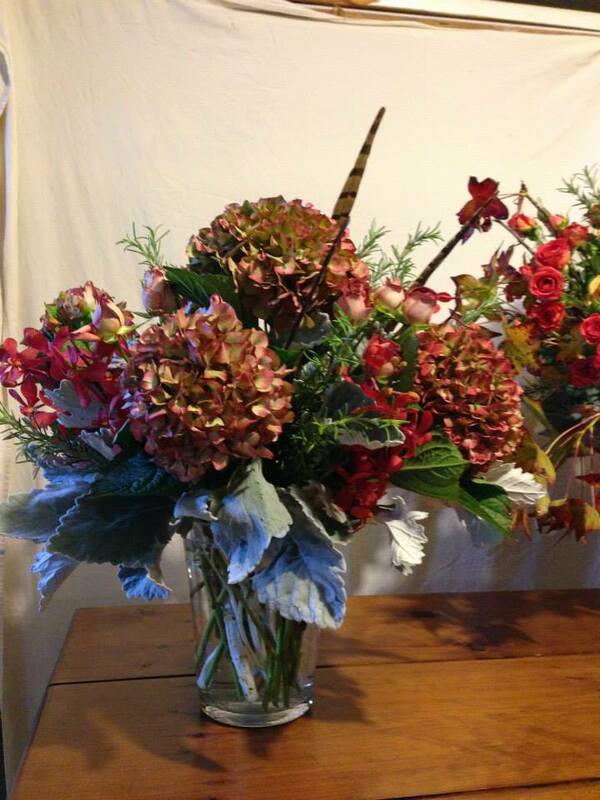 This cauterization keeps latex from leaking into the water and clogging the stems of other flowers in the vase. The key is to do this once you have determined what length you want the stem to be, and not re-cut it again. If you must re-cut the stem, then you have to sear the tip all over again. Although this process makes it a little more time consuming to work with, Tweedia is so pretty that I will be sure to use it again soon! What an amazing photo shoot! We could not be luckier! As we have set out to follow our dreams and start our own business we have had an overwhelming amount of support. As soon as we made the announcement that we were going to start the event floral, vintage rental, and staging business so many people offered their well wishes, words of encouragement, advice, and collaboration. We owe a huge thanks to Kristen Finn Photography for setting up a photo shoot this past December to get us started off with some beautiful images of our work. Along with Kristen, we were incredibly lucky to have Ashley Duru of Salon Emage as the stylist for our hair and Sarah Phillips from the blog Fifty-Two Thursdays chronicle the behind the scenes of this shoot. A special thanks, as well to Julie Giuliani, Sara Marsh and Pam Albers of Patina store in Middleburg, VA for allowing us to use their space and furniture. 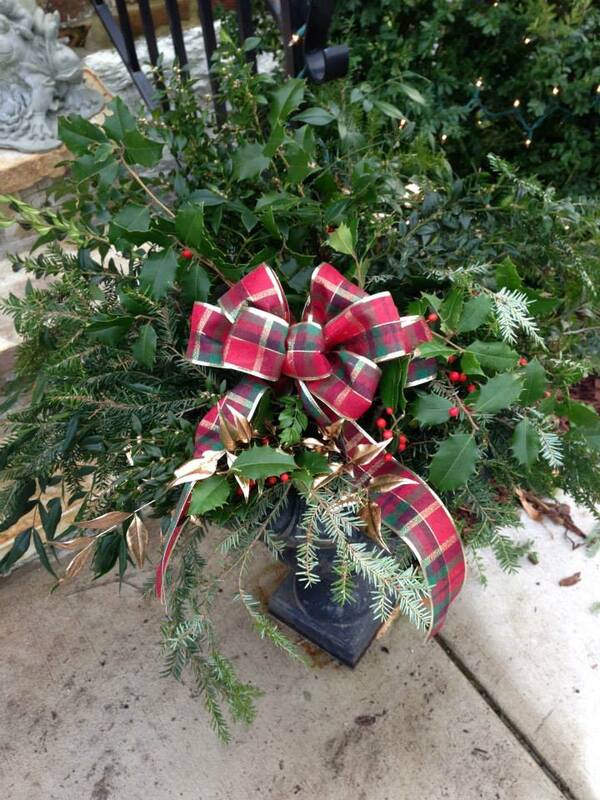 Thank you again everyone for taking time, at the busiest time of year, to get Catherine G. Damewood LLC, Purveyors of Fine Florals & Design off to a great and beautiful start! This is one of our favorite times of year. 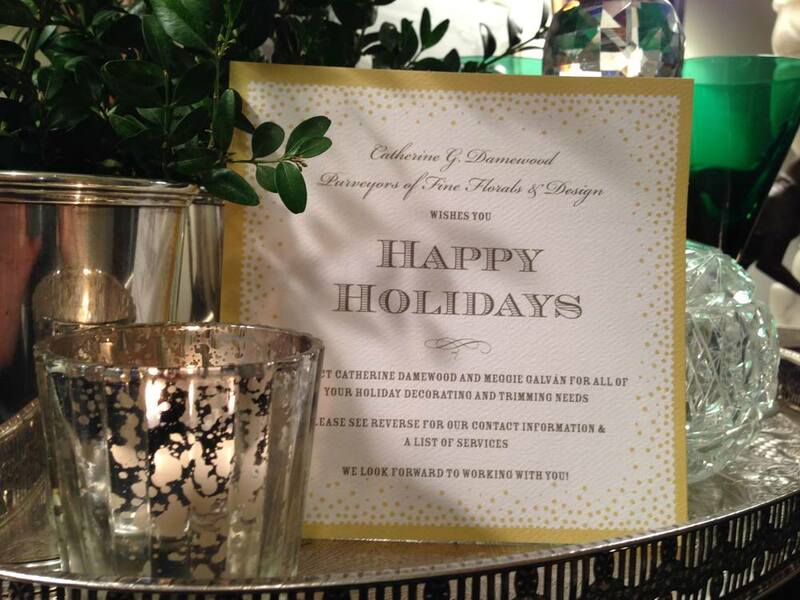 Not only for the fun and festivities shared with family and friends but also to the cards. Stationary, along with flowers, is one of out guilty pleasures. 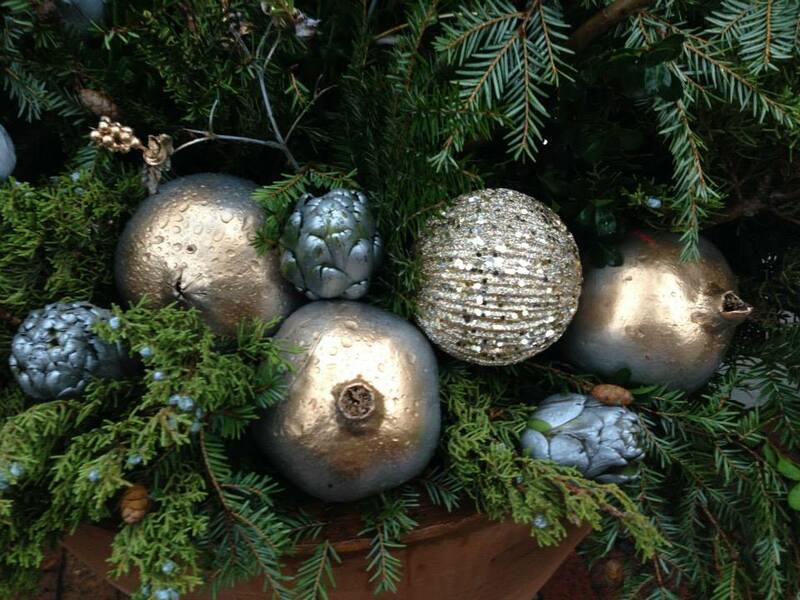 A sweet, peppermint amaryllis arrangement for a different take on the Christmas classic. Check out Lou Lou Boutique! 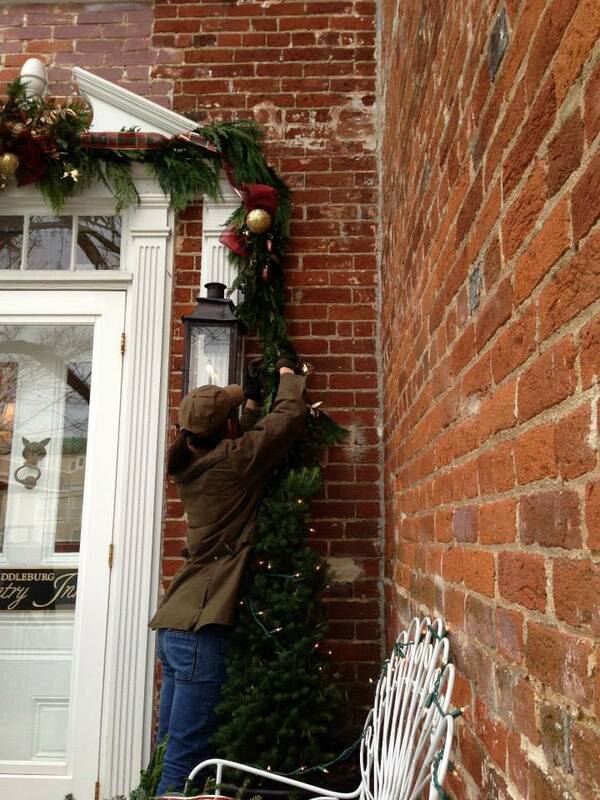 We were lucky to work with one of our favorite stores around, and help get them ready just in time for the Christmas in Middleburg. The first of our day's deliveries making for a very busy Friday. 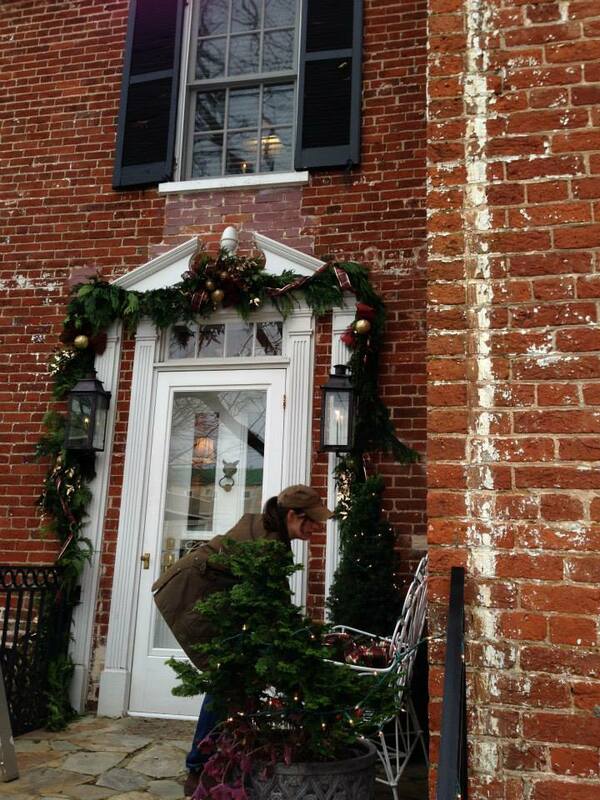 Not only did we have floral arrangements to drop off, but also some gorgeous and delicate poinsettia trees. Thank goodness for doormen with luggage carts. 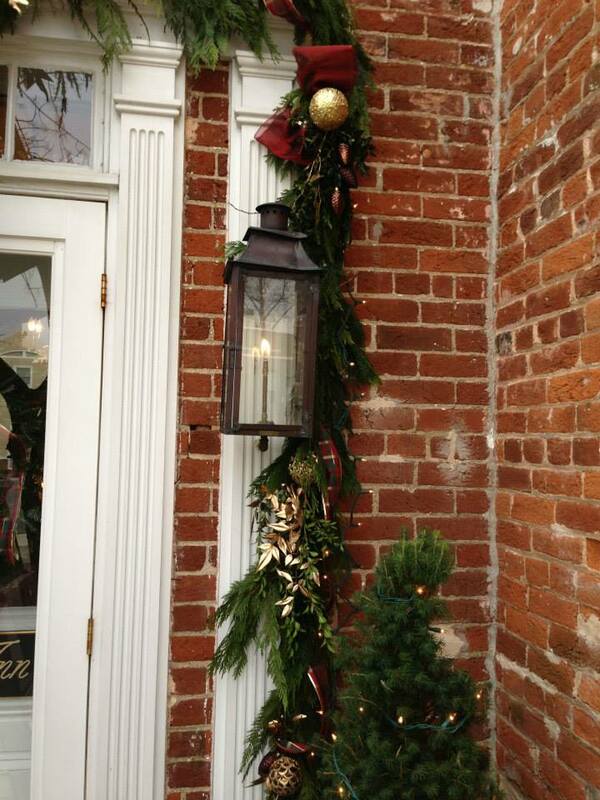 The Middleburg Country Inn was so much fun to trim with fresh greens used in the planters, swags, and garland. So sorry to have lost this beautiful hemlock last week. 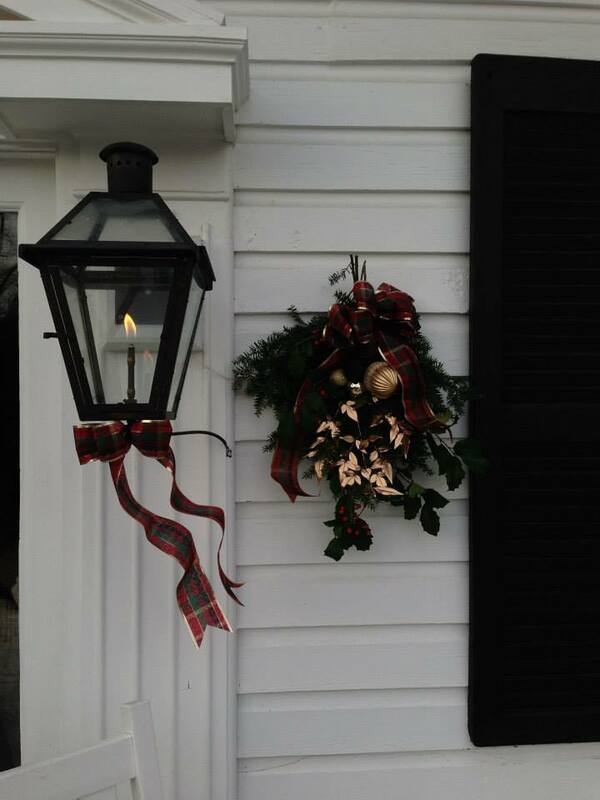 On the bright side, it certainly has gone to good use in all of holiday planters, wreaths and garland we've been busy putting together. 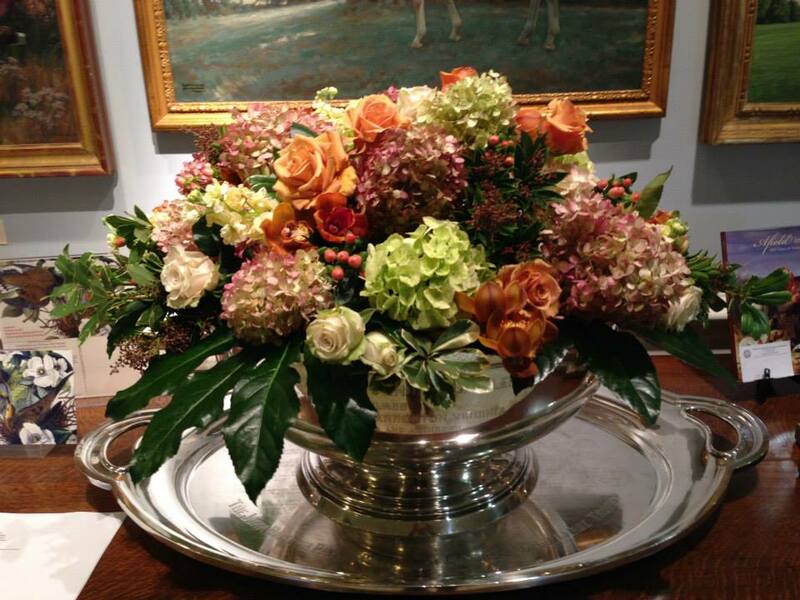 Some beautiful flower arrangements on the work bench before delivery for a fabulous Thanksgiving Party. 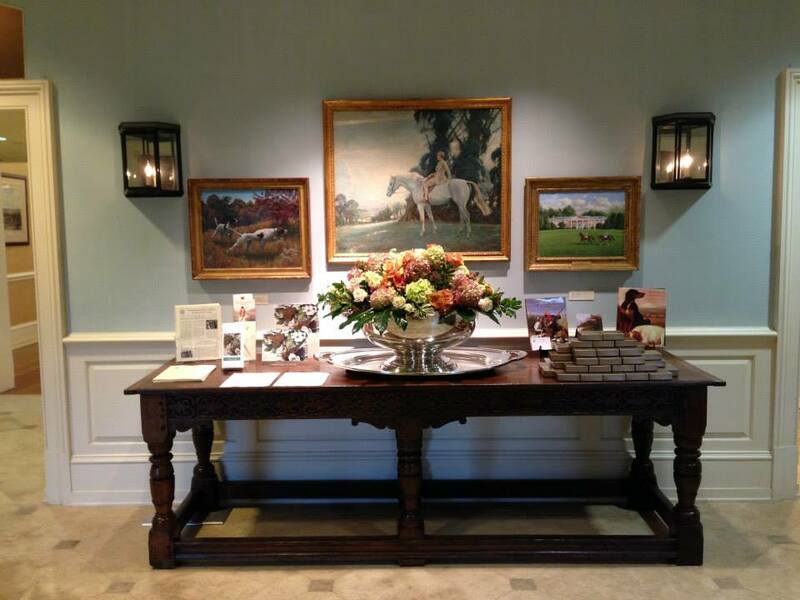 We had the pleasure to provide flower arrangements for an event at The National Sporting Library & Museum in Middleburg, Virginia. 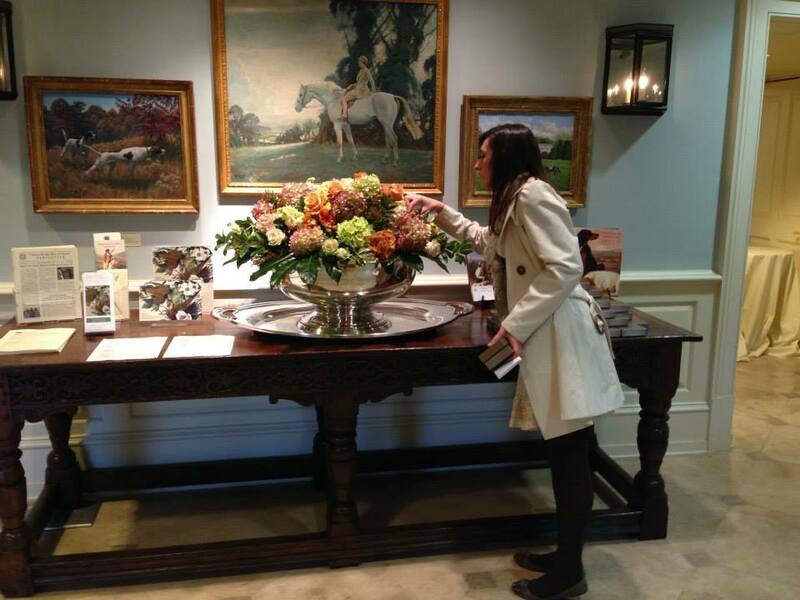 For the flower color palette we were inspired by the beautiful, sporting paintings in the space. A fall, Virginia wedding. We had the pleasure of providing the flowers for a sweet couple and incorporating some of the themes from their new home in Colorado into the arrangement and boutonniere design. A special thanks to Caroline Winn Photography for capturing these great images! We've finally did it! 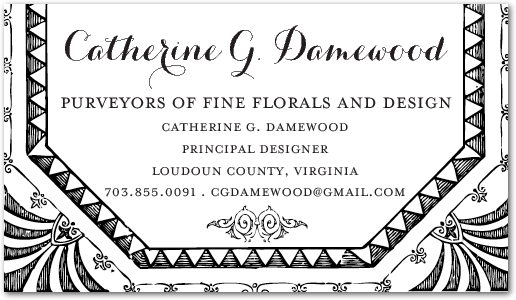 Catherine and I have gone into business with one another and started Catherine G. Damewood, LLC Purveyors of Fine Florals & Design! It is incredibly exciting to be going into business with my best friend/ sister. It really makes for some additional butterflies but I can not imagine going on this great adventure with anyone else. Many good things to come and I can not wait to share this great adventure with you. Thank you for visiting our blog! P.S I apologize in advance for the delay in getting this blog up and running. Please bare with me as I catch up on some belated post from this past fall and the holiday season.